Participants have one year from the date the course was purchased to complete the course. Records will also be retained regarding the quality testing of all self-study programs. Pilot tests of all self-study programs will be maintained as well as any updates to the programs. For live courses, full refunds will be granted if the student requests a refund 5 days before the seminar. For online courses, full refunds will be granted if the student requests a refund before they start the quiz. If the quiz has been started, a 50% refund will be granted. No refunds will be granted after the quiz has been completed. If a program is cancelled or pulled off-line, the student will be notified immediately and a full refund will be issued. Instructors will ask participants to sign in twice a day – in the morning and in the afternoon. Instructor will ask participants to fill out an “exception sheet” kept on a table at the back of the room to note if they miss more than 10 minutes of the seminar. Class sizes are small because of their highly interactive nature – 30 or less participants. This will allow the instructor to monitor and note on the sign-in sheet when participants are not in attendance. 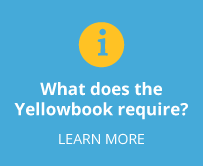 Yellowbook-CPE.com will keep these sign-in sheets and exception sheets for five years. 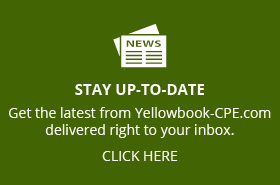 Live seminars are continuously updated to incorporate new modules and new auditing or accounting standards. All courses including live seminars and self-studies will be updated at least annually. Leita Hart Fanta is a CPA,CGFM(Certified Government Financial Manager), and CGAP (Certified Government Audit Professional). She has developed over 25 unique seminars since 1995. Each course is customized to the audience by asking a sample of participants about their expectations and needs. All course objectives and resulting quiz questions follow Bloom’s taxonomy and instructional design guidelines promulgated by NASBA. Course instructors will use desired take-aways of participants and interviews with team leaders to advise the design of the curriculum. Course evaluations will be used to advise the revision of the course going forward. Any interested party will be privy to the course evaluations to evaluate the outcomes of the training. 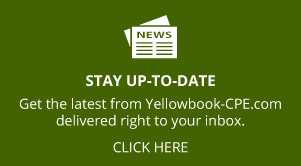 Thank you for taking a few minutes to ensure that the courses offered by Leita Hart-Fanta and Yellowbook-CPE.com are relevant and worthy of certification by the National Association of State Boards of Public Accountancy. Please fill in the blanks and respond to the questions below. 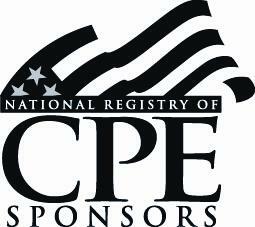 Any additional comments that may be relevant to the National Association of State Boards of Public Accountancy? Does the course description on the website agree with the course materials? Is the technical level of the materials consistent with the level of knowledge specified for the course? Does the content of the materials seem adequate for the hours granted to complete the course? Is the information current and up-to-date? Did you find any typographical, math, or proofing errors? Did you find any errors in fact? Were the questions supported by the material? Do the answers to the question aid in learning the material? Are the materials adequately indexed to enable a participant to use them as reference? Is the author qualified in the subject matter? Did the course meet the learning objectives described in the introduction to the course?